In the office, at the job site, or on the weekend, the Oilfield Camo Moisture Wick Polo is the perfect shirt for showing your industry pride! These polos look great with company names and logos embroidered. 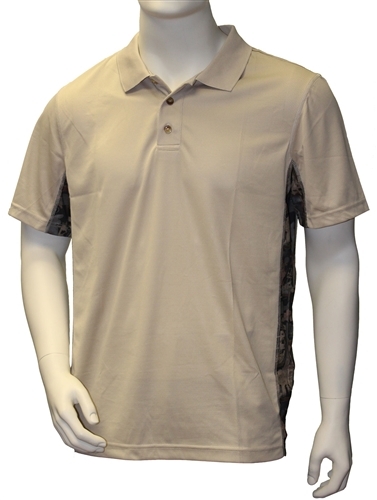 Tan shirt with Oilfield Camo Pattern accents on each side.